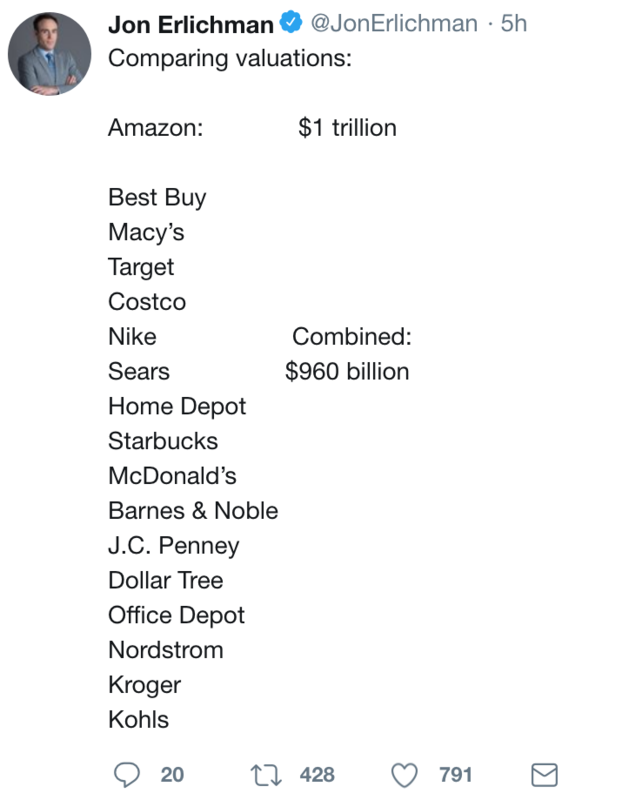 Bernie is on the warpath and Amazon is in his sights. As Axios reports, Sanders will introduce a bill next week requiring major employers like Amazon, Walmart, and McDonald's to cover the cost of government assistance programs its workers rely on: food stamps, public housing, Medicaid, and others. 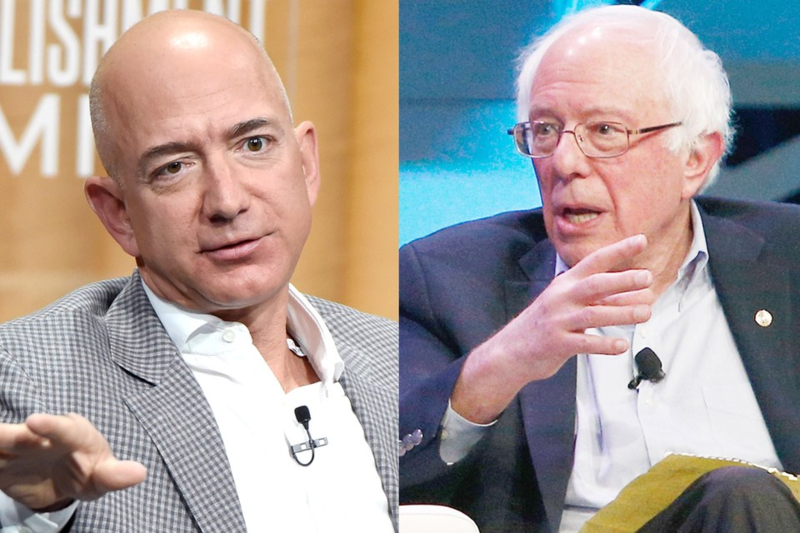 Amazon, typically tight-lipped over such provocations, launched a full rebuttal—which has some are saying Bernie is under Bezos’ skin. Amazon’s last-mile delivery program, announced in June, is off to a hot start. Since announcing the program, the firm has received such a strong response that it is quadrupling its initial order for branded Mercedes-Benz Sprinter vans from 4,500 to 20,000 vehicles. For a sense of scale, in North America FedEx says they operate 60,000 vehicles, UPS 119,000. Amazon briefly joins the 4-comma club. 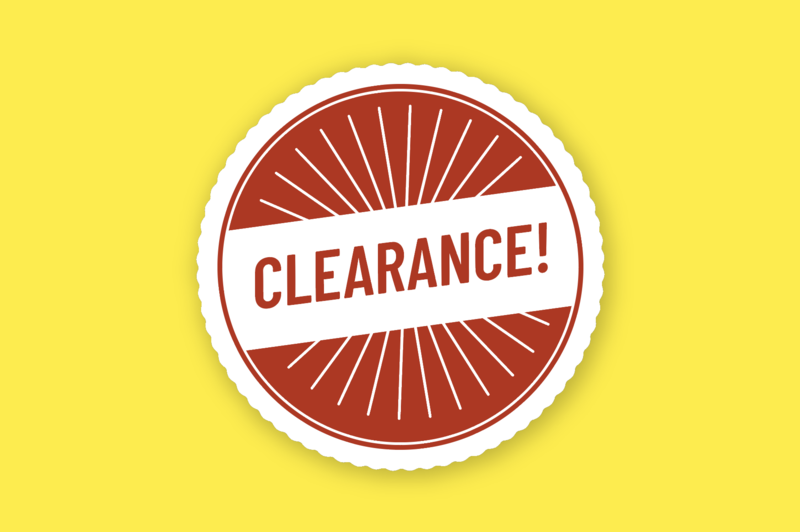 A growing trend in retail is playing to mixed results: employee advocacy. There is a fine line, however, between authentically representing your brand story and coming off a bit more disingenuous.